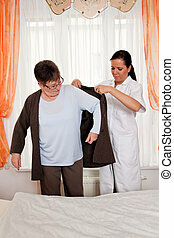 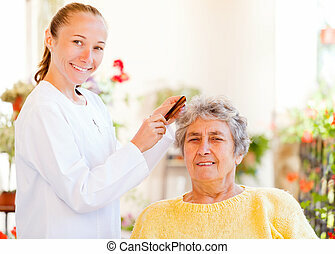 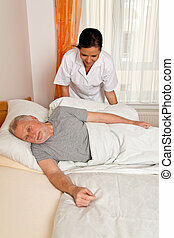 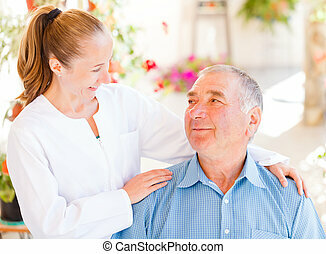 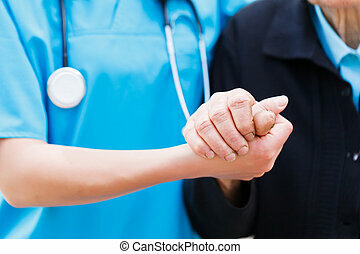 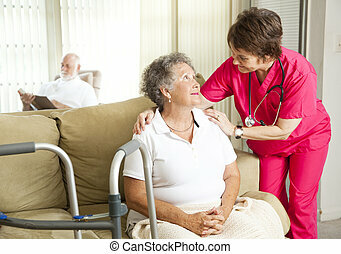 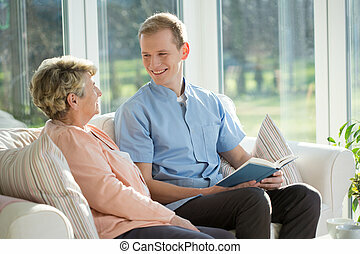 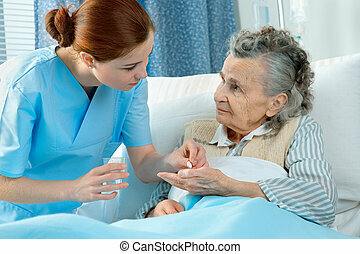 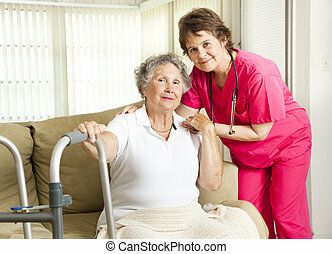 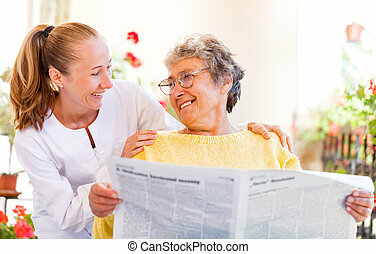 Nurse in aged care for the elderly in nursing homes. 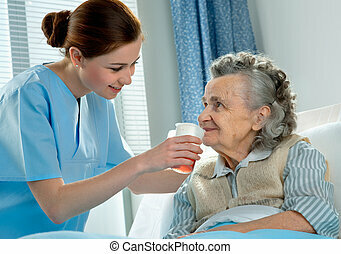 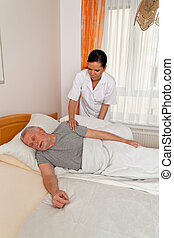 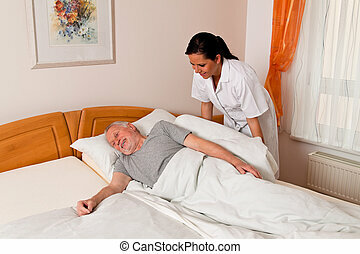 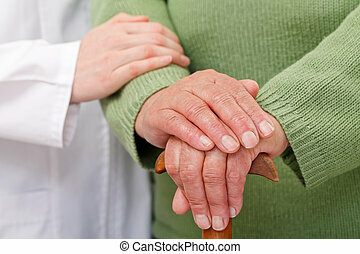 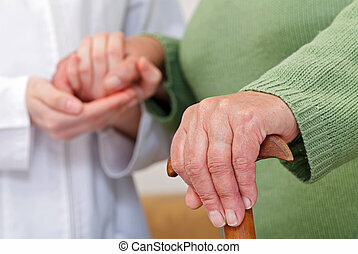 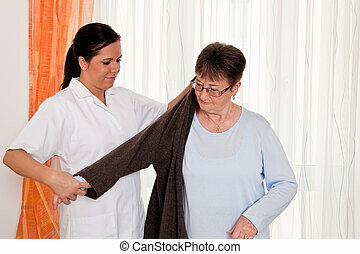 A nurse in aged care for the elderly in nursing homes. 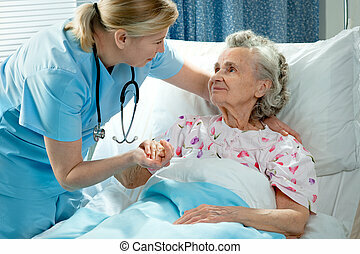 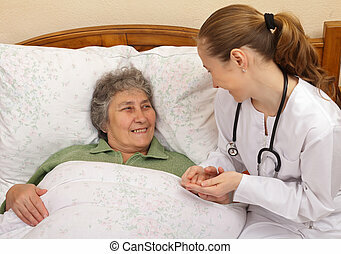 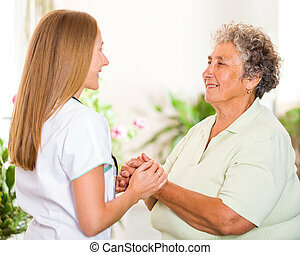 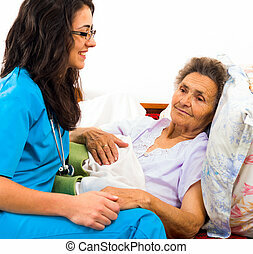 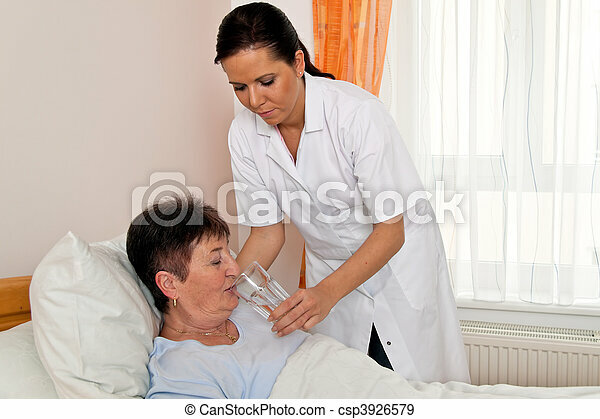 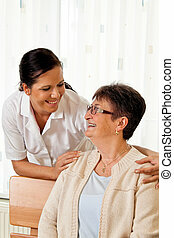 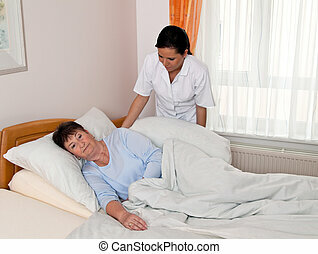 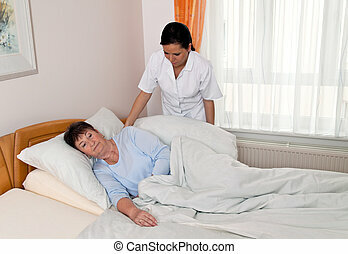 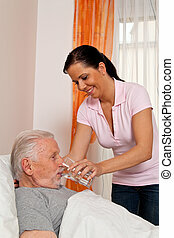 Friendly nurse cares for an elderly woman in a nursing home.